One page bootstrap template with premium taste! This is my first freebie for you all so I’m giving something big freebie here. 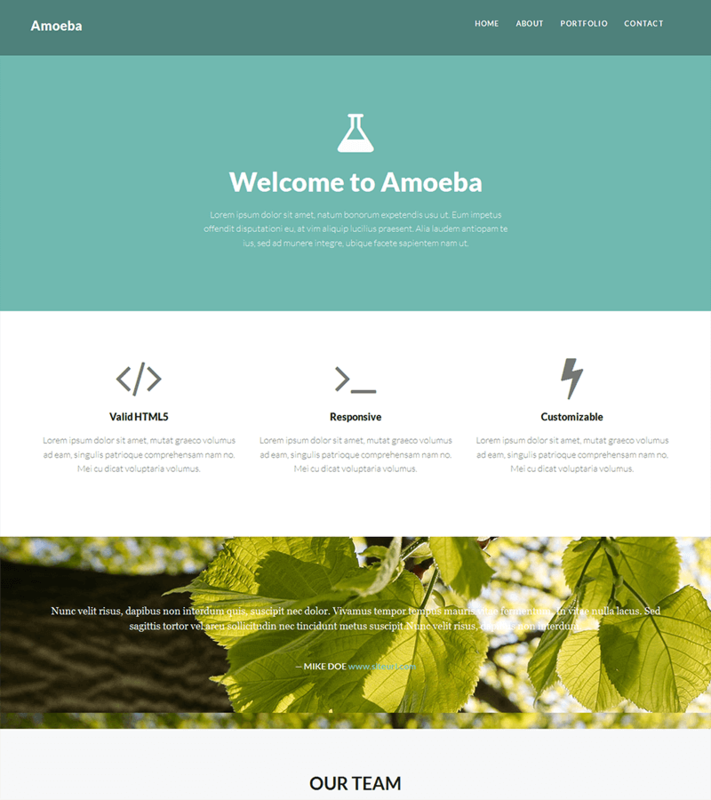 Amoeba is one page site template built from Bootstrap 3 with modern flat style also coming with lot of ‘premium’ features! It’s not just a plain basic template with fancy color like another freebies.